By practicing this method , you will achieve a state of flow ( being aware- when time and matter do not exist). Every one have a glimpse of this when we are dancing, singing, intense work out or at the peak of the work you loved the most. 1) Compassion: is love or kindness to all living being. Practicing compassion leads to increase in DHEA hormone( fights stress and reduce aging) and reduce cortisol ( Stress hormone). 2)Gratitude: Appreciation and acknowledgement of all the good thing which we receive from creative energy ( God, nature or consciousness) , people or situation. A study by the University of California suggest increase in the happiness by practicing gratitude daily in a log. 3) Forgiveness: is the best weapon against guilt( Paap). Asking forgiveness and forgiving others releases us from the clutches of negative energy and we feel vitality and energy in the life and our relationship improves. 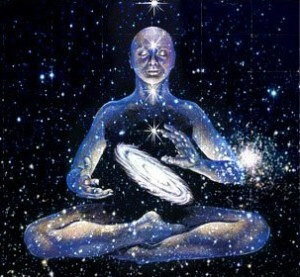 4) Visualization: Inner thoughts shape outer world. By doing this we change the way we see , feel and perceive outer world. 5)Perfect day: Envisioning a perfect day which create neural synapses in the brain and form right habits which ultimately becomes our character. 6)Blessing: is harnessing our internal energy – an act of affirmation and recognition. Steve Jobs always thought that he was the blessed one, the chosen one. Here is the link , This meditation to be done preferably in the morning .